As a culture, we accept peanut butter and jelly as a viable lunch. Peanut butter and honey, sure. Peanut butter and sticky jarred marshmallow fluff? … Hell, you only live once. But a sandwich this good has national appeal. 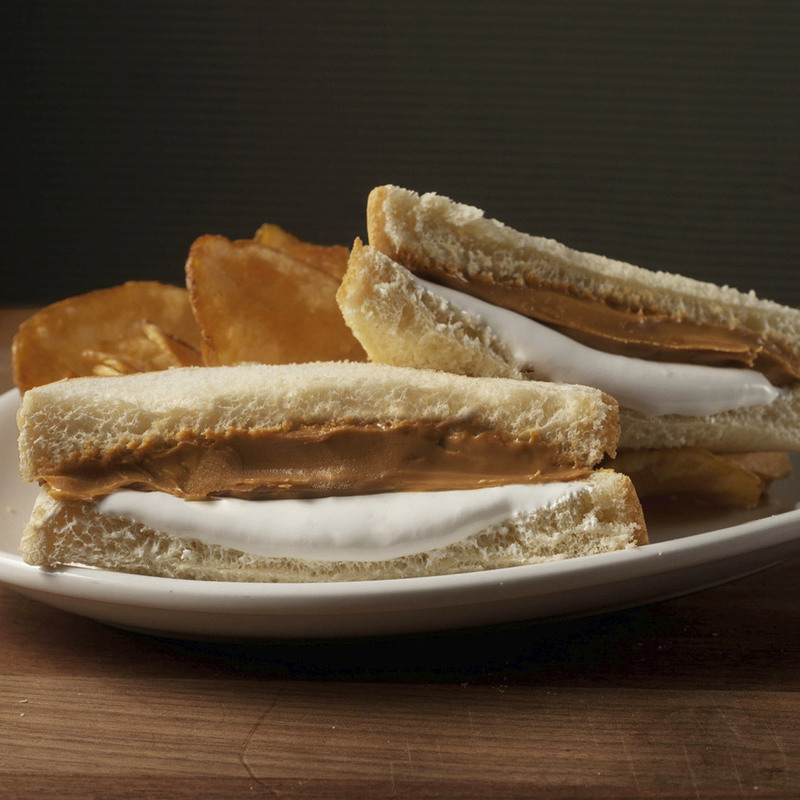 When asked why he has it on his menu, Hunter Pond, owner of East Hampton Sandwich Co. in Dallas said, “I grew up eating the Fluffernutter; it reminds me of being a kid.” Whether driven by nostalgia or just a ranging sweet tooth, Fluffernutter fans come in all ages. The bread: Only sandwich bread need apply, as white and squishy as possible. Come on, this is a throwback kids’ lunch; no artisanal spelt bread, please. The filling: Though creamy peanut butter and silky Marshmallow Fluff mesh perfectly, use the crunchy stuff if you prefer, as long as you’re using at least as much Fluff as PB. Peanut Butter & Co.; NYC. Of course this all-things-peanut-butter sandwich emporium has a Fluffernutter on its list. Take your pick of smooth or crunchy peanut butter, and if you want the crusts cut off, they’ll even humor that request. Local 149; Boston. Let’s be honest: The Fluffernutter is more a dessert than a proper lunchtime sandwich. So Local 149 cranked up the indulgence factor with a deep-fried Fluffernutter on its dessert menu—with Nutella for dipping, to up the ante still further.